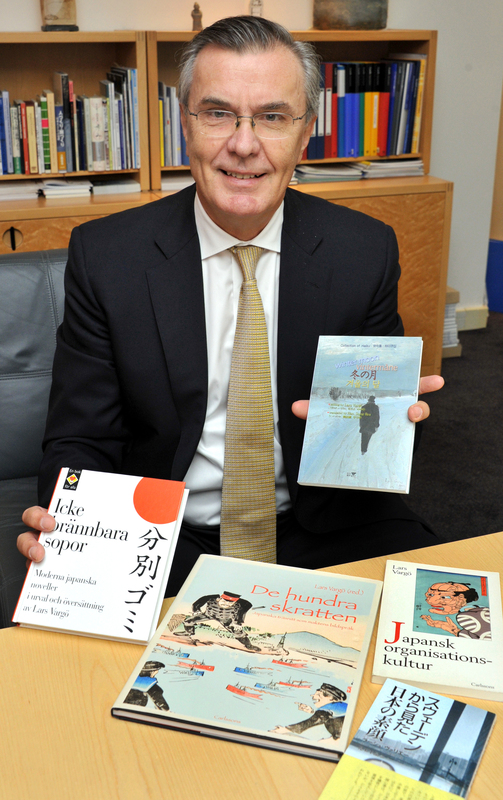 Over the years, Swedish Ambassador to Japan Lars Vargo has published 15 books related to Japan, but for the past decade, his love affair with the country has largely been told in one literary form: haiku. 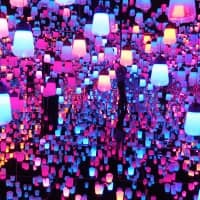 “I’m intrigued by the peculiarity of haiku, in which something cosmic is expressed in such a short phrase,” explained Vargo, 66, in fluent Japanese. About 10 years ago, Vargo first encountered classic haiku, and he has been avidly reading, writing and researching the world’s shortest form of poetry ever since. Vargo’s 15-volume literary oeuvre includes collections of his insights into Japanese society, his own haiku and works by other poets, as well as Swedish translations of Japanese haiku. According to Vargo, awareness of Japanese traditional values spread in Sweden first through haiku and Zen Buddhism in the 1950s and ’60s. In the last 15 years or so, the popularity of haiku has rebounded, and many Swedes write and publish haiku in their native language, he said. In addition to putting on a haiku exhibition last year at the embassy — a collaboration between famous poets from Sweden and Japan, complemented by artwork by a renowned Swedish artist — earlier this year Vargo founded the Tokyo International Literary Society, a group that promotes literary exchanges between Japan and other countries through lectures and discussions. 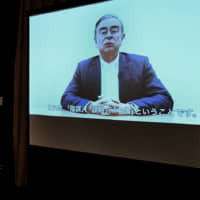 “We were quite honored that the first lecture was given in April by Donald Keene, the world-famous Japan specialist,” he said, adding that he was impressed by Keene’s talk on his encounters and friendship with famous writers such as Junichiro Tanizaki and Yukio Mishima. The group is planning to present an award to some Asian poets next month, a prize that Vargo says the society is hoping to offer every year. 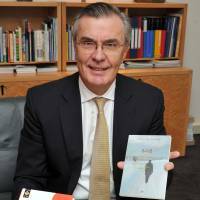 During his five-year stint as ambassador to Seoul from 2006 to 2011, Vargo cofounded the Seoul Literary Society — a similar group to the one he has just established in Tokyo — which held seminars and conferences with Korean and foreign writers and poets. He also published the haiku book “Winter Moon” together with a South Korean translator, Hung Sung-Rea, which was written in English, Swedish, Japanese and Korean. 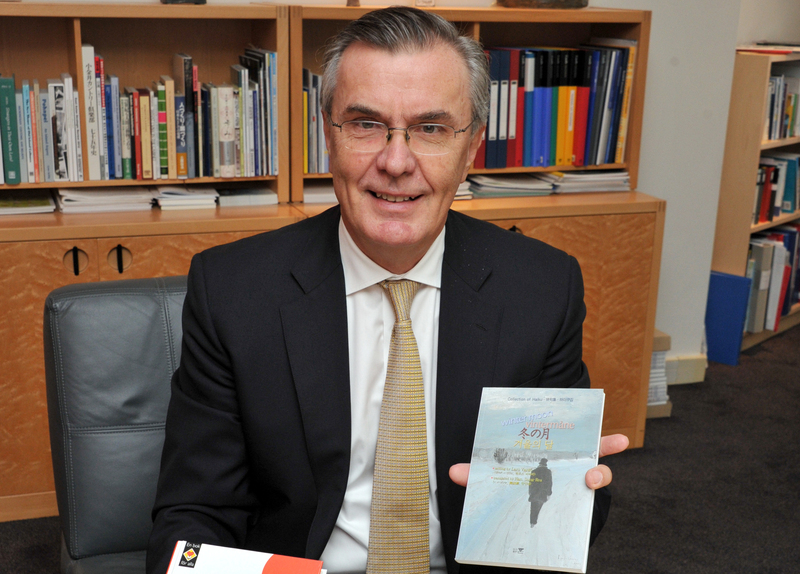 Now, he is eager to do more activities here in Japan to promote similar exchanges between Sweden and Japan. Apart from indulging his love of haiku, Vargo puts his free time amid his busy schedule as ambassador to use producing oil and watercolor paintings. He also works with his wife, a textile artist, on collaborative creative projects. 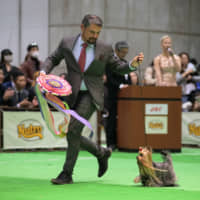 Vargo’s first visit to Japan was in 1972, having been offered a scholarship from the Japanese Ministry of Education to study at Kyoto University for 2½ years. “I came to Japan at New Year’s, using the Trans-Siberian Railway and a ship, which took me to Yokohama,” he recalls. He said when he first got off the ship and went into a café outside the customs office for a coffee, he was surprised at how low the chairs were. “I thought it looked like a doll’s café,” he said, his face lighting up with a cheeky smile. Vargo notes that a lot has changed in Japan in the four decades since that visit. The public toilets used to be quite badly maintained, he remembers, but are now quite clean. The country has become more globally connected, and more Japanese can communicate in English. “Japan has become more international, but at the same time has also kept the good parts of its traditional culture. 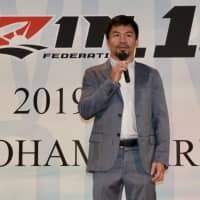 In this way, I think Japan is heading in the right direction,” he said. “The Swedes also value politeness, in a similar way to the Japanese,” he said. 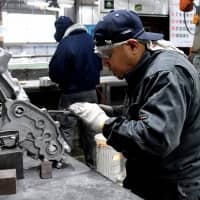 As for organizational skills, Vargo said he is always impressed by the efficiency of the Japanese, a trait much in evidence when the embassy asks repairmen to fix something in the building, for example. “They come with a systematic set of tools, and do their job really well,” he said. Vargo touched upon another similarity that the two countries share: love for simple design. “The Japanese love Swedish design and vice versa. We share the same kind of taste, such as simple, serene design, often using wood,” he said. Vargo originally studied Sinology at the University of Uppsala in Sweden. Then he decided to change course and came to Japan to study Japanese history at Kyoto University. He subsequently went back to Sweden to teach Japanese at the University of Stockholm. He has been back to Japan three times since then, with his stays in Japan adding up to a grand total of 19 years. 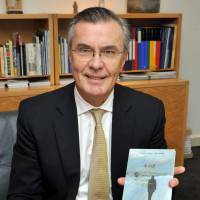 In 1978, he joined Sweden’s Foreign Ministry and returned to Japan to take up the post of third secretary at the Swedish Embassy in Tokyo. In the 1980s he became second secretary, and in the 1990s he was appointed to the position of minister, the post just below ambassador. 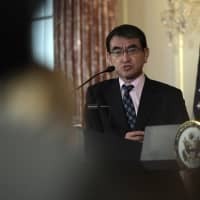 This is his fourth posting to Japan — as ambassador since 2011. Asked which haiku poet he likes best, he immediately cites Yosa Buson, the Edo-period poet. “I can sense there are profound thoughts in his poems. He’s like a philosopher. I like the way he shares his deep cosmic ideas through his poems. His ideas come across easily even to Swedes,” he said. “I think what’s important to express in haiku is not so much the actual explanation of the situation, but the idea behind it. For example, it’s important how the poem evokes memories of something a reader has experienced in the past or even evokes new ideas. “I also like Tota Kaneko, a 20th-century poet — particularly the way that his poems are humorous, and his thoughts quite liberal,” he added. Vargo’s scheduled three-year posting to Japan will end next year, which will coincide with his retirement, he said. The inaugural Swedish Film Festival begins today at Eurospace in Shibuya and runs until Friday, Dec. 6. A total of 13 films, old and new, with Japanese subtitles will be shown (different films each day). For more information, visit www.swedenabroad.com/en-GB/Embassies/Tokyo. 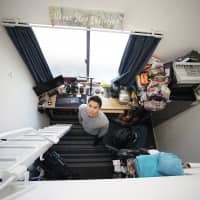 Send comments and ideas to community@japantimes.co.jp.